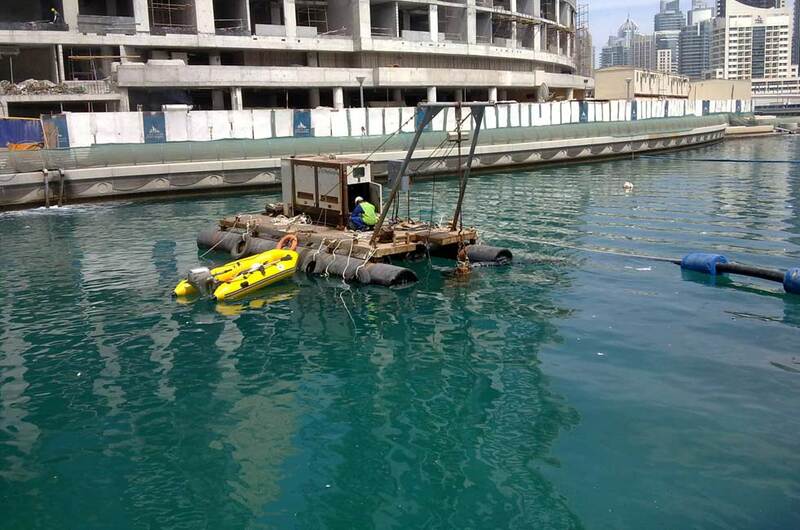 Union Dredgers has completed the dredging of the Dubai Marina channel. Utilising our dredging pump and customised dredging pontoon we were able to dredge the channel and relocatethe excess material to a stockpile location. The material was then loaded on to a flat top barge utilising a long reach excavator, moved to shore and transported via truck to an agreed location. Union Dredgers utilised its specialised equipment and wealth of experienceto ensure swift and safe completion.